Personalized attention. Friendly, expert staff. Solutions tailored to meet your specific needs. It all adds up to excellent customer service, the kind you’d expect to find at your local bank. Maybe that’s why Tim Wojcik recognized it immediately at Grand Island Physical Therapy, a clinic of Central Nebraska Rehabilitation Services, where Wojcik has been a patient several times over the years. A Grand Island resident since 1986, Wojcik has worked at locally owned Five Points Bank since 1996 and now serves as its president. His relationship with Grand Island Physical Therapy goes back almost as far. He was first referred there in 2000 after suffering a neck injury in a car accident. Neck pain is one of many conditions resulting from injury or disease that can be successfully treated by physical therapy. Physical therapy uses exercise and other hands-on techniques to alleviate pain and improve posture, strength, endurance, balance, coordination and joint mobility. 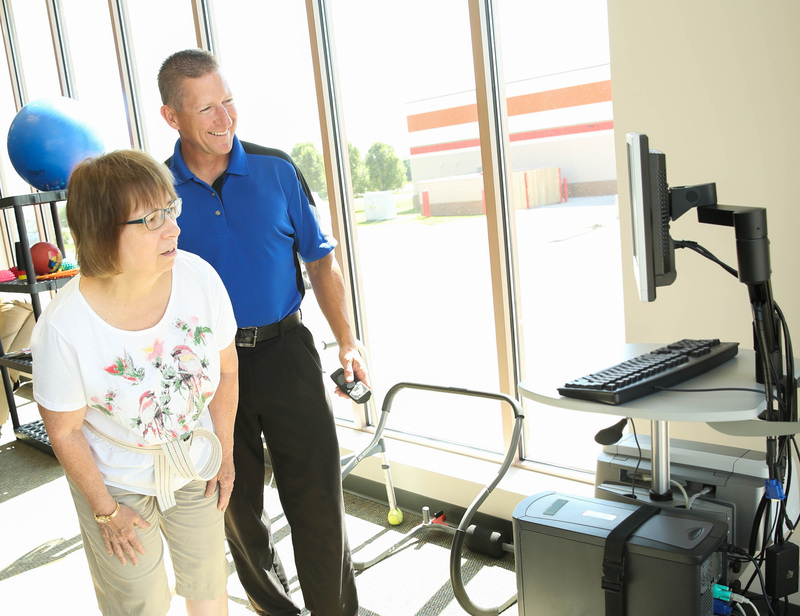 Recalling his first impression of Grand Island Physical Therapy, Wojcik said customer service began at the front desk. The staff made a point of getting to know him quickly and would call him by his first name when he came in for appointments. As a banker, he understands the importance of that kind of personal attention in any kind of enterprise that deals with the public. He was also impressed by the quality of the facility and the “happy, energetic environment” created by the staff. “A lot of teamwork, I noticed, goes on there,” Wojcik said. If the physical therapist he was scheduled to see needed to spend more time with another patient, a different therapist would step in with him, so they always got to him right away. 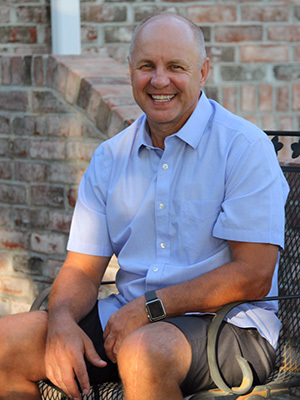 Wojcik returned to physical therapy in 2010 for chronic back pain. He was suffering from degenerative disc disease, a loss of cushioning, fragmentation and herniation of the discs between vertebrae; as well as spinal stenosis, a narrowing of spaces within the spine. He continued to be impressed with the state-of-the-art equipment and techniques used in his treatment at Grand Island Physical Therapy, which included ultrasound and dry needling. Dry needling focuses on stimulating a specific trigger point that’s causing pain and disability. A small needle is inserted directly into a tight, painful muscle, creating muscle relaxation, improved blood flow and release of tension, inflammation or pressure. “They know what you have to do to rehabilitate,” Wojcik said. He was reminded of that during his third experience as a patient at Grand Island Physical Therapy. He spent four to six weeks attending physical therapy every other day after surgery to replace his left knee in 2013. Therapy after an accident or surgery can be physically challenging, but Wojcik said he got through it with the help of the physical therapists and staff at Grand Island Physical Therapy. “I didn’t mind it,” he said, because he wanted to get the most out of his physical therapy. After his appointments at the clinic were completed, the physical therapists gave him exercises to continue on his own. Wojcik said he got everything he needed out of physical therapy and has had no trouble with his knee replacement. In fact, he has good memories from his experiences at Grand Island Physical Therapy. “A lot of friendships developed out of going there,” he said. Looking to the future, he anticipates that he’ll need surgery to replace his right knee, so he’ll be seeing his friends at Grand Island Physical Therapy again. That suits him just fine. Wojcik said he would rate Grand Island Physical Therapy 10 out of 10 in all categories. “I won’t hesitate to go back there,” he said.